SteelChair Magazine // What are your upcoming goals? Petey Williams: That is a good question, because my original plan was to stay retired. I was totally content with how my career had left off and then Scott D'Amore approached me and asked if I wanted to come back and I was hmmming and ahhing about it, because I have kids now. I didn't have kids for the first time that I was wrestling and I'm married, so I ran it by my wife and she said it was ok. It's not about me this time around, it's more for my kids. I'd like for them to see what I used to do and leave on a more positive note than I did last time. Last time, I got fired from TNA and now I'm back. My goals, championships would be great, absolutely. Ultimately I would like to transition into helping some of the younger talent and maybe take a behind the scenes role and help develop characters because that's a big passion of mine. Wrestling wise I just like performing in front of fans and wrestling, that's been my goal always and that will always continue to be my goal. Last Word on Sports // I'm actually calling from Windsor, Ontario! PW // Tell everyone I said hi! Last Word on Sports // I will! Loosely tied to what you just said about getting into backstage work in the future. One thing I've noticed, especially with the tapings in Ottawa, Impact is definitely highlighting a lot more of the Canadian indie scene, right now. We saw Ethan Page debuting as Chandler Park, KC Spinelli, Hannibal, Tyson Dux back in the spotlight and even some BCW guys like Brett Banks and Phil Atlas/ Do you think that that's something that has been underexposed? Just how big the Canadian indie scene is, we kind of get a bit lost with the American indie scene. And is this something that you look forward to becoming a figurehead for now? You're an indie Canadian icon now! PW // Yeah, my goal is to run for Prime Minister during the next election....no, I'm totally joking! Do not publish that...I'm not running for Prime Minister! But yeah definitely, I think it is something that is overlooked, the Canadian independent scene. I'm not going to name all the names that have come from Canada in the past and present, but there's some big names and great wrestlers. It's good that Impact is transitioning into being a Canadian company, because I know when I was first starting to break into the business and make a name for myself, there wasn't much television work or anything mainstream in Canada, you always had to go over to the US. It's so hard for us Canadian wrestlers just to go across the border and get visas and everything that is tied in with it, so yeah I'm really looking forward to everybody, pretty much the world, getting to see what Canada has to offer. The Wrestling Epicentre // We spoke just a few weeks before Bound For Glory and I asked how you were looking forward to going up to Canada and we had no idea that you would be challenging for the World title tomorrow night! Now that's it's been done how did you enjoy your trip back north of the border? PW // Good talking to you again! Now that it's all said and done, it was better than I anticipated! I knew that it was going to be awesome, wrestling in front of the Canadian fans again, but just to go back to that reaction, I still can't believe it when I walked into the arena at Bound For Glory. It was pretty amazing and then not only that but when you show up for the next day and [Impact] are like "You're going to be highlighted in our Global title match in our main event" and I was like "This has never happened before!" The entire time that I've been with Impact it's always been X Division, X Division, which I love, but just to be highlighted in the main event like that it's a Canadian kids dream come true. Then throughout the week too, the reception that the Canadian fans were giving me, it was pretty unbelievable and if I retired tomorrow, I could really be happy with it. I'm not retiring, I'm not announcing my retirement, please don't get all worked up here, I'm just saying if that were to happen and I couldn't wrestle again, I'd be totally content. Unnamed Source // Would please talk about the origin of the Canadian Destroyer? PW // There's not much to it. We're going back to 2003-ish, so fourteen years ago I was riding in a car with I think Chris Sabin, Truth Martini and maybe Brian Gory and maybe somebody else and we were going to an IWA: Mid South show for Ian Rotten. Truth Martini brought something up and we were just kind of brainstorming and then Sabin and I were wrestling each other that night so we were going to attempt this flipping piledriver move that we could only envision in our heads. I don't think we understood how it would turn out, so we decided not to do it, because of the fear of the unknown, we didn't know what was going to come of this. So we didn't do it. Then I went back the next month and challenged Matt Sydal in the same promotion and I said "Matt, I have this move I want to try" and Matt said "Okay, lets do it!". Then we did it and Matt Sydal was the first person to ever take the Canadian Destroyer. I was doing the move for a while and I brought it to Impact back in the weekly PPV days and they actually came to me and said "You need a name for the move" and I'm like "I know I do, I just don't know what to call it". So I went back to my roots, everybody knows that Scott D'Amore trained me and the guy that trained Scott D'Amore his name was "The Canadian Destroyer" Doug Chevalier. When I first started training underneath Scott D'Amore, the very first Border City Wrestling show that I attended Doug Chevalier had just passed away and it was the Doug Chevalier memorial show pretty much and it just kind of stuck with me, out of respect for Border City Wrestling tradition and the CanAm Wrestling school and I said "We're going to call it the Canadian Destroyer" and [TNA] said "Okay" and that was that! WrestlingNew.co & Pancakes and Powerslams Show // 2008 you were in the same room as one of the funniest promos of all time in TNA. The maths promo that's become so popular nowadays, I'm wondering what were your thought when Scott Steiner was cutting that fantastic promo with you and Rhaka Khan in the same room? And then my other question, going more of a serious note. If there was one person that you bring from the WWE right now into Impact Wrestling and start a feud with and compete against, who would it be? PW // Okay, well to answer your first question...Little known fact, I wrote that entire promo for Scott Steiner verbatim, so the math does make sense. Seriously, [TNA] said "You have a minute and a half promo" and back then Vince Russo was the director/producer of everything and there was really no "say this", he just said "Talk about your match with Angle and Joe and Petey finish it up with a one liner". Then he just starts talking and if you watch the promo back the clip I look directly into the camera as if to say "Are we still rolling? Okay, I guess we are, might as well get back into character!". So it was one take and the one thing I know about Vince Russo is that he liked when Steiner stumbled over words. I know Steiner didn't like stumbling over words, but Russo really liked it because he felt that Scott had all this pent up frustration and rage that of course he's going to stumble over his words because he can't even think straight or talk right because he's so frustrated. So, Russo understood Steiner's character and he knew that that was good TV and it's epic, people still talk about it to this very day. And the math, at first, it did make total sense and then it didn't make sense because he started going over a 100% and I got lost and that's when I looked at the camera. But it's great and I ask Impact Wrestling every single week to bring Steiner back. I lobby for that all the time because it's just good TV when Scott's on TV and I like hanging out with him. It makes life interesting when he's around. The second question, that's a good question too. Do I bring back someone that I used to rival with? 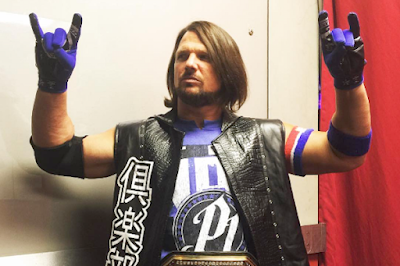 I loved rivalling with AJ Styles, that goes way back to 2004. I remember our first monthly PPV, Victory Road, it was myself against AJ Styles and I really wasn't expecting to win that match, I know that he was the golden boy, the poster boy for the company at the time and just to come out victorious and still X Division Champion after that match it just goes to show what the company thought about Petey Williams and the Canadian Destroyer and the character. So, it would be good to have him back. Across the Pond Wrestling // Back in the day, 2004-2005, a big part of iMPACT and for yourself was Team Canada. Now, if you were going to reform Team Canada tomorrow who would you like to be a part of it and why? PW // Obviously, I'd like to have my old group back, based on circumstances and contracts and everything. But moving forward if I had to pick a group, I'd have myself and probably A1, I'd have him back. A1 is actually back wrestling again, he looks absolutely great, he works out like three hours a day, so jacked and lean I'd love to have him back by my side. So that's two original members and then I'd have somebody like a Tyson Dux, very well known in Canada, a Border City guy and maybe even a long shot of a Michael Elgin. I haven't put too much thought into it, but that's another thing I lobby for, besides bringing Scott Steiner back, is bringing back Team Canada. Obviously, I'd have Scott D'Amore as the Coach. New Zealand Pro Wrestling Informer // Having started with Impact in 2004, to what do you attribute you longevity in the business? PW // Oh jeez, that's a good question. I do admit that I have been very lucky and blessed in this business. I've paid my dues, set up rings, travelled all over the place, but I feel like a lot of opportunities were thrown right at my face and I just had to make sure that I didn't move and that it hit me in the face. I've just been lucky with meeting the people that I've met and having doors opened for me, it's one thing to have a door opened for me in Impact when I first start there, but you know it was ultimately up to me to deliver and perform and secure a position with the company. But a longevity standpoint, yeah I started seventeen years ago in the wrestling business and if you look at me, I'm not flying all over the ring, I'm not trying to do anything that's beyond my limits. The way I structure a match, I know that my bread and butter is the Canadian Destroyer manoeuvre and that's what I try to go for, the purpose of my match, I want to hit that move so that I can win the match. That's pretty much what it comes down to. You might see me go for it a couple of times in a match, but I know it's going to win me matches and that's what I go for. So longevity wise I want to say I'm a smart wrestler, I don't try and do things that are out of my league, I'm not going to go and do a four-fifty. Yeah, I can do a four-fifty, but it's maybe going to look seventy percent good, whereas someone like Matt Sydal or Ishimori can do a four-fifty one hundred percent good. So why would I want to do a move seventy percent good, when I know that there's another performer that can do it one hundred percent good? I wanna say I'm cautious and that's why my longevity has always been there and I've been free from injury, knock on wood, thus far. HiddenRemote.com // You had mentioned before Team Canada and I just wanted to get your thoughts on the recent success of Bobby Roode and Eric Young in WWE and if you keep in contact with them to this day? PW // Yeah I do. I'm so happy for them, we all started and were signed to a contract at the same time at Impact in 2004 and obviously it's your goal to work your way up in wrestling, however it may be. Making it your career, that's going to be your job in life and that's what we're doing, loving life. I don't remember the last time I texted Eric Young, it was something goofing around, I don't know what it was. It was an old memory. Then Bobby Roode, I think the last time that I texted him, I saw him and he was looking good on TV and I'll take you behind the scenes right now, we used to do each other's back when it came to the fake tanning, there's no surprise that wrestlers use fake tanning lotion. So I asked Bobby "You're looking good on TV, what lotion are you using nowadays?" and he told me and we swapped there and that's what I'm using on TV now. We still keep in touch and I'm so happy for them, they're doing what they love to do. TheGorillaPosition.com // Petey, you're one of the legends in the formative years of the X-Division. Now that it's being rediscovered by fans who didn't see it the first time. In the grand scheme of things what do you think the legacy of what you guys did when you launched the X Division is gonna be? PW // If you're talking about back in the early to mid 2000s, you don't realise that you're making history or that you're creating something when it's actually happening. It's always that you look back on it and say "Wow, that was the glory years". So we didn't really realise what we were creating until we look back on it now and say "Wow, look what we've done and look what its become". When I look at that, look at the guys that were around in the glory days in the mid-2000s that are still left with the company. It's myself and Sonjay Dutt. I was highlighted extremely in the X Division and I'm very thankful for that and I would like for it to shift back to the way it was, to create that history again. We're not going to know it when its happening, but if everybody watches and is a part of it, you can look back at it in ten years in 2027 and say "I remember in 2017, Petey came back, Sonjay was there and the X Division was doing something special. That's the goal, to bring it back to where it was. New Zealand Pro Wrestling Informer // What matches from throughout your career would you recommend newer fans check out on the Global Wrestling Network? PW // Oh man, that's a good question. If I didn't get hit in the head so hard I'd probably remember all of my matches. Some matches that I'm very proud of are myself vs. AJ Styles at Victory Road 2004 and then Turning Point of the same year myself vs. Chris Sabin it was a twenty minute match and I really enjoyed that match and then going into the following month, January 2005, myself vs. AJ vs. Chris Sabin, we had an Ultimate X match which is regarded as one of the best Ultimate X matches in Impact history. That's a good starting point. If you want something more towards my "Maple Leaf Muscle" character I really enjoyed my match with Frankie Kazarian at Slammiversary 2008, in the Memphis area, very proud of that one. Then myself against Xavier Woods at Hard Justice 2008 in New Jersey, I still regard it was probably Xavier Woods' best singles match to date. Then also September 2008 it was myself vs. Shawn Daivari vs. Xavier Woods in Oshawa, Ontario at No Surrender, which I regarded as a good match as well. So that's a good starting point, things that are popping off the top of my head. If you're watching the Global Wrestling Network, I'd say start there. SteelChair Magazine // You've already wrestled in England, did you enjoy it? Do you want to come back? What's you're experience with wrestling in the UK? PW // I don't remember when I first went over there to the UK, but it was for the Wrestling Channel and I tell you what the United Kingdom fans, they are awesome. They've always been huge events that I've wrestled at and they're some of the best fans out and not to take away from the fans but the wrestlers themselves. I remember when I used to go over to the UK, back in 2004, I felt that the UK wrestlers were kind of stuck in the past, but I just went over there in 2013 and my God did those UK wrestlers really turn it around. I want to say that they have some of the best wrestlers out there right now, I was blown away by how the wrestlers really came to and how the younger guys really took a grasp on the wrestling community and they are just awesome. I remember being over there and being like "Wow, you guys have really turned it around over the last ten years". So I'm really proud of the UK wrestlers and the fans, absolutely. Will I come back? I'm working on coming back to the UK, I don't know if Impact has anything lined up, but if Impact does I'd be happy to be on that tour as well. Alive Radio // Earlier on you were talking about Team Canada and back in the day you had Coach D'Amore, who was a great manager/coach call him what you want. Do you think there's still a place in the modern wrestling scene for the manager? PW // Yeah, I definitely believe so. I mean, Scott D'Amore is definitely a great talker on the mic and he can hold his own against anybody and that's why they put him on the mic back in 2004. There's so much stuff going on on social media and what's going on in the world, that there's so much more material than what there was in 2004, that I can definitely see it and it working. Whether Scott wants to do it or not that's up in the air, that's for him to decide, not for me. 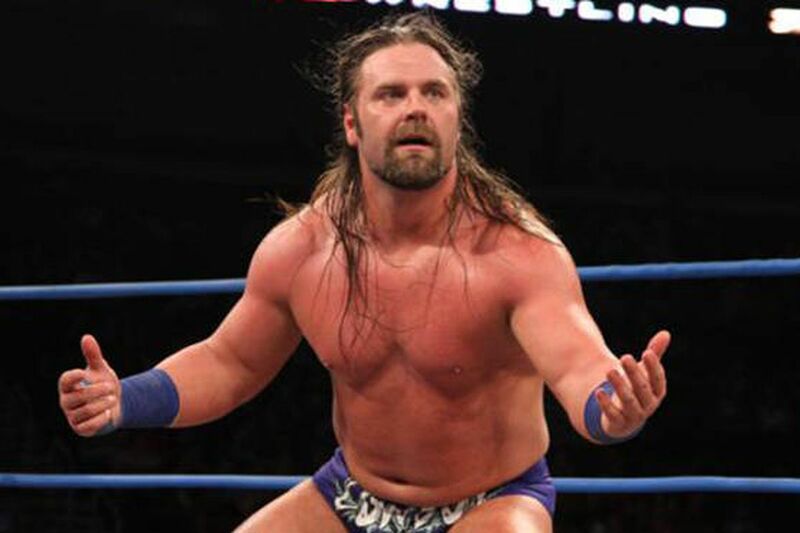 Across the Pond Wrestling // The news broke during the last set of tapings that James Storm was planning to depart from Impact. I wanted to know if you could talk a little bit about James' influence on the company and a bit about your relationship with James as well. PW // Yeah, James had been with us since the beginning, so as soon as he came back from his last match at Impact in the Ottawa tapings, I just went up to him and I hugged him and I said "Hey man, I've been in your position before, you'll bounce back". That's exactly what I said to him, because in 2009 I was in his position where if I lost the match I had to leave Impact and believe it or not, James Storm was the one who actually pinned... actually, Ihe was the one that kicked me in the face, I think Bobby Roode pinned me, but either way it was their team that made me leave Impact. So I understand where he's coming from and he will bounce back. Wrestling goes full circle. 2009 I was supposed to leave Impact Wrestling forever, I came back in 2013 for a few months and now I'm back in 2017, so nothing is forever in wrestling, we all know that. You might see James Storm in the future again. I've always had a good relationship with James, the first time I actually went to Disneyland was with James Storm and his girlfriend at the time and my girlfriend at the time. I don't know where he's going from here, but he's always been a guy in the company when he can step out in front of a crowd and he's Impact branded pretty much, he always gets good reactions and he's a great worker. I wish James all the best. HiddenRemote.Com // You spoke earlier about the latest set of taping of Impact that recently took place in Canada and obviously before that you were wrestling for Impact in the States, in the Impact Zone out of Orlando. What was the biggest difference in the atmosphere, obviously aside from being from Canada, and wrestling in Canada and the USA for Impact? PW // You hit the nail on the head. Me being from Canada, being in Canada as well, that was a huge difference in the atmosphere, but also we had a whole fresh set of eyes watching our product, rather than being at the Impact Zone were we've been there on and off since 2004. So thirteen years in the same city is a tough thing to do. So just to have a fresh set of eyes, that's huge and it means a lot to the talent, to the wrestlers too, because you almost want to, not try harder, but you have a fresh feeling about it, you get excited again. It's interesting because my whole career since 2004 when I debuted in Impact, I've always been pro-Canada, I'm Team Canada my moves the Canadian Destroyer, I was Maple Leaf Muscle, everything's always been Canada about me, so it's just good to see that I can still do this same character thirteen years later and still have the fans on my side. That's great, that means the world to me. Last Word on Sports // You'd spoken quite a bit on Scott D'Amore already, but if you go back the last ten/fifteen years, Scott's directed/trained so many people who've become monstrous stars over the last fifteen years. Whether it's helping out with Gail Kim to guys like you and Bobby Roode and Eric Young and Moose and KUSHIDA and all having great big years this year, Motor City Machine Guns, Rosemary. What is it about Scott D'Amore's training that he creates these people who have become such big, impactful (no pun intended) stars in the industry? PW // You know, I'm not really sure, to be honest. Maybe its a fundamental thing. Some people have their basic training down, I know for example Chris Sabin was basically trained, he trained under another individual, then he went to Scott's school, he tweaked a couple of things, opened up somethings for him and he was considered a Border City guy. 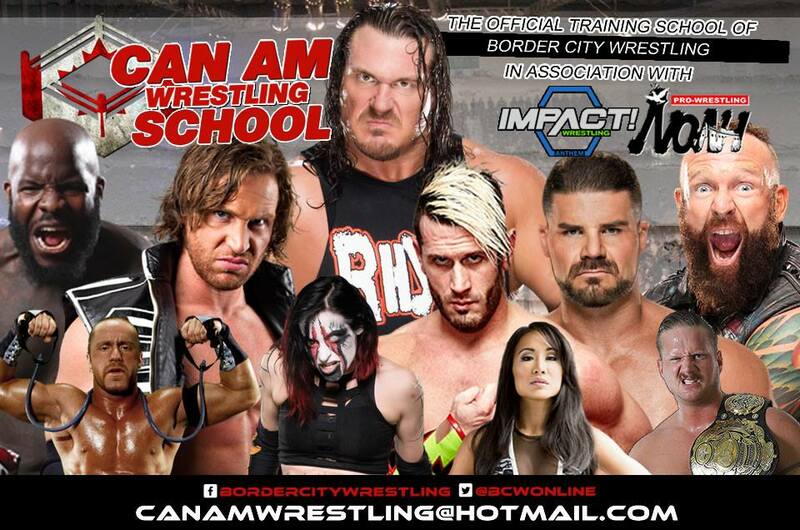 The first day that I stepped foot in a wrestling ring was at the CanAm Wrestling School under Scott D'Amore, so I'm privileged to be considered one of the few that have started, my very first bump in a Border City/CanAm Wrestling ring was underneath Scott D'Amore. People know that Scott has helped a lot of people on the way. I know if I was starting out wrestling today, I would probably seek out Scott D'Amore's school, just because of knowing what he's produced. I do know a couple of things that I can give to you that I know that Scott really sticks to. When I first starting wrestling, I was 18, maybe 19 years old and Scott knew that I was in college and Scott said "You need to finish your degree at school, because when wrestling is done you need something to fall back on" and I was like "Alright". Pretty much a few months after I finished up my college degree, he had me step into the Impact Zone and said "This guys good", so he made sure I was done before he pushed me to the next level. So he really harps on that and I thank him for that, that he did that. Also, fundamental things as well, for example I know a lot of wrestling schools and wrestling promoters, they'll have you train, some of them, the bad schools, they'll have you train for a few months and even if you're not ready they'll put you in a match. Scott was adamant, I knew guys that trained for a year, just because they weren't ready yet and Scott's not going to put out someone who's not ready, who could potentially hurt themselves or hurt somebody else. Scott's not going to do that, he has too much pride in the wrestling world. So that's two things, that I really enjoyed about Scott's school, because I don't think that's taught universally across other wrestling schools. Impact Lounge // How was it performing not only in Canada, I know that's your hometown, but also at Impact's biggest PPV, Bound For Glory, in front of your children? What was the experience like not only for you but for your children as well? PW // The tough part was my children were eight hours away, so they weren't able to experience it and then I was gone all week so I wasn't able to experience it with them, but what's good is that they have seen me wrestle on this second run of mine. The first run, I only had one kid, they never saw me wrestle. It means the world to me. This isn't Bound For Glory, this is just another show when I was doing a warm-up match before I came back, my wife's sitting in the crowd with them and she said to them "Okay, I know you usually call him Daddy, but today's the only day that you're actually allowed to call him Petey" so that was cool to here them chanting "Petey!" and afterwards seeing them, I try to tell them that it's fake, even though I don't like using the word "fake" because I do get hurt a lot in wrestling, so pre-determined, but to portray it to a small child, I'm like "It's fake, Daddy is okay" because I don't want them crying or anything. My three year old, my wife said she said she thought she was going to cry, because the first thing that happened in the match was that I got punched in the face and she looked at my wife and then went "Get him Daddy, get him" so she didn't want to cry, she wanted me to fight back. I'm hoping that they understand, but it means the world to me that I get to share it with them, especially when I leave, they know I'm going to wrestle and they understand what that means and they understand what that looks like when I say I'm going wrestling. So, just an awesome experience and that's why I'm having so much more fun this time around. I have more people to share it with, my family, I never got to share it with a whole entire family before. The Wrestling Epicentre // Probably the reason you're doing this teleconference is that tomorrow night the big match against Eli Drake for the World title. Eli is just such a dynamic performer, great on the microphone, but also able to go in the ring. 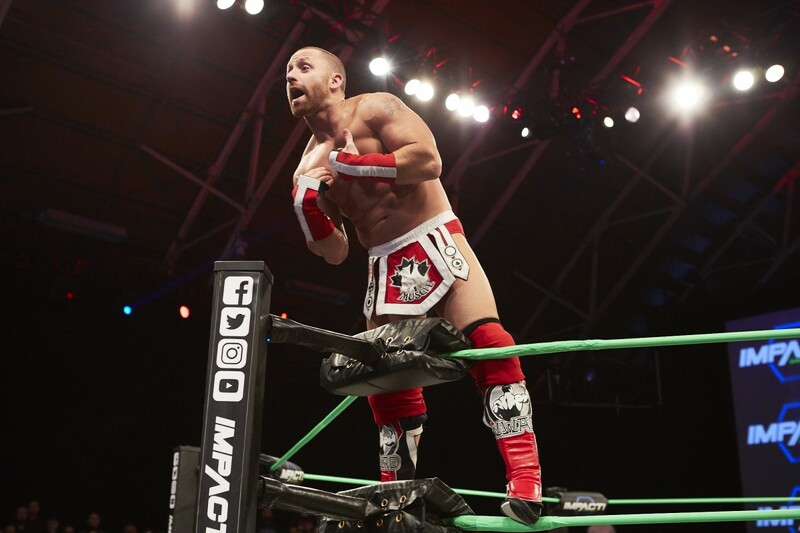 Thoughts on Eli Drake as a performer? PW // At first, I didn't know what to expect. I know he's the World Champion, I didn't know what it was going to be like. It was the unknown. Then after, Eli has a bunch of cool points, that a lot of other wrestlers don't have. He just has this coolness about him. That's really good, that's what you want to see in a champion and Eli delivers that. As for stepping in the ring, he's great in the ring, he's better than I thought he was going to be, not that I thought he was going to be bad or anything, but there's a style when it comes to the X-Division, I know that style, but then there's also a style when it comes to the heavyweight division and I know that style too and they're two totally different styles I would say. I've wrestled both, obviously I prefer the X-Division style, but he has this niche about him where he almost has an X-Division type style about him and you'll be able to see that when you tune in tomorrow on Pop TV, but really, really enjoyed the match with him and I hope you guys enjoy the match when you watch it. Last Word on Sport // It almost seems in the time that you've been away The Canadian Destroyer has become a huge move, it's become one of these iconic moves that you're seeing everywhere from internet clips of people trying to do Double Canadian Destroyers, up to seeing John Cena using it last year. Was that every something that crossed your mind to when it becomes a future DDT or when it becomes this massive almost cult following move? PW // No, it didn't at the time. Going back to what I said before, you don't realise that you're creating history when you're creating it. You always look back on it and be like "Wow! ", you created history. Just to clarify, John Cena didn't do the move, he did something called a Code Red, which Amazing Red used to do, it's a flipping powerbomb, not a flipping piledriver. It gets confused a lot. I see it all the time, I felt like once I retired three years ago that every single match everywhere there was a Canadian Destroyer involved, so much so I think that it was upsetting some of the other wrestlers who were like "Can we tone it down on the Canadian Destroyers?". 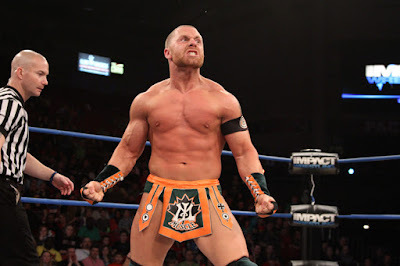 Now that I'm back it seems like there's less of it, maybe it's a respect thing, "Petey Williams is back, it's his move, let him have it" and I'm totally cool when people do it. I know they say "Imitation is the best form of flattery" so I'm flattered when people do it and it's good because I can look back and not many people can say this, that they're created something in wrestling that is going to last forever. I know this for a fact, I'm very confident that when I'm seventy years old, I can be sitting in my living room with my Grand-kids watching whatever wrestling show is popular at the time and there's going to be some kid, probably not even born yet, doing the Canadian Destroyer on TV and I can look and say "That's what I contributed to wrestling. That's me, right there, that's what I did". It's just good to show that when I'm long gone, that will still be around and that's my legacy. Impact Lounge // Tomorrow night, you have an opportunity where you'll be challenging Eli Drake for the Impact Global Championship. We've seen over the years where there's been a change in terms of guys of smaller stature getting the opportunity to not only challenge for whichever company's World title, but in some cases we've seen instances where these guys have been successful. I was wondering if there was anyone in the current crop of X-Division stars that you can see in the future potentially challenging and perhaps winning the Impact Global Championship? PW // Yeah! I think what's good about the Impact roster right now is I feel like probably 80% of the roster could transition into becoming the Global Champion. I think that's how deep our roster is right now. 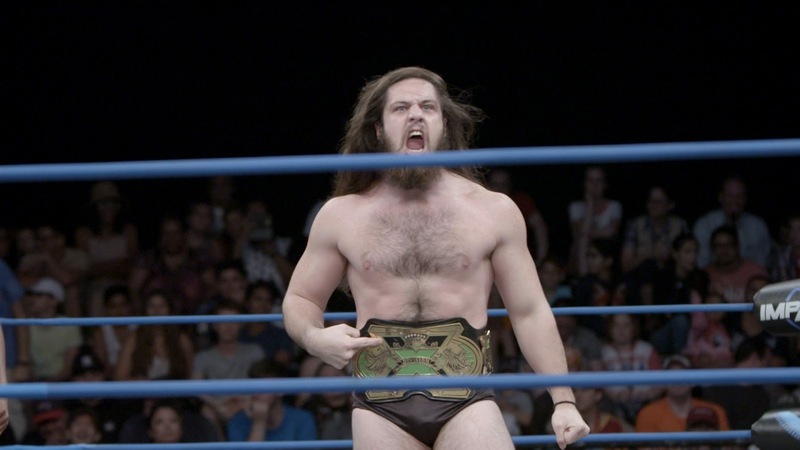 I look at guys like Trevor Lee, I think he's a phenomenal performer and I don't see any reason why he can't compete if not be the Global Champion. Same for Matt Sydal, he's worked everywhere in this world, he can do pretty much anything and he's a phenomenal performer. Same with Dezmond Xavier. Myself included. So I could see pretty much anybody taking that spot, call me nuts, but that's what I believe. SteelChair Magazine // Who are you looking forward to wrestling from this new roster? And also who would you like to tag team with? 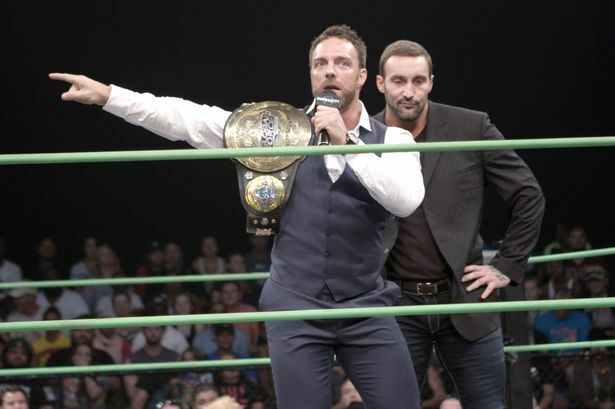 PW // Obviously, Eli Drake is Global Champion and you get to see that tomorrow. I'd like to go head to head with Matt Sydal, I haven't done it in maybe thirteen years or so, so that would be something that I'd like to do on Impact television. Even guys like EC3, I'd like opportunity, as well. Even go one on one with Dezmond Xavier, maybe Ishimori, so yeah I have a list of guys that I'd like to go in there with and wrestle. As for forming a tag team, I really enjoyed it the last few weeks when I've been teaming with Sonjay Dutt. Sonjay's always been a very close friend of mine, he's also one of the pioneers of the X-Division as well and I think we'd form a pretty good team. I even have a name for it, I would call us "Sikh and Destroy". I know, Sonjay isn't religiously a sikh, but there's twenty million Sikhs in India and Sonjay's from India, so he could the Sikh part of it and I could be the Destroy part of it. Sikh and Destroy. I think it's clever. I'd also like to team with somebody like Johnny Impact, I think it'd be great to team with him, I love his style and watching that. WrestlingNews.Co & Pancakes and Powerslams Show // WWE recently announced the news that James Ellsworth has been released. Have you ever had any interaction with James Ellsworth? And if not, how would you book him in a match against you? PW // So, I don't remember having any interaction with him, but my podcast co-host, asked James Ellsworth "Petey can't remember, but have you ever ran into Petey on an Indy show? ".James Ellsworth said "Yes". I can't remember what it was, he probably doesn't remember. So yes, I have ran into him, I do not remember the interaction with him. I would book him, I mean, against me, I don't think it would be much of a match. I would say the same way that he was booked against AJ Styles, it wasn't much of a match at all when they finally got to it. Not to discredit James Ellsworth, but he's been used as a lackey for the last couple of months on television. So that's a good question how I would book him. Good thing I'm not the booker of Impact! HiddenRemote.com // About nine/ten years ago, Impact released a video game and you were part of it. What was your reaction to being part of that video game, your debut as a video game character in a wrestling video game? PW // It was awesome! I remember I had to do some motion capturing for that game with Midway. I had broke my orbital bone when I had to actually do my photo shoot for my character, so I had a huge black eye, but obviously the technology they edited that all out. It was awesome. I wasn't in the main roster, I was a downloadable character. I think myself and Curry Man were downloadable characters. I'm pretty sure they told me, that the very first move that they captured was the Canadian Destroyer, so that's pretty that the Destroyer, the move itself, could make it's debut in that video game. I still have a copy of it, not open, but I still have a copy of that game. TheGorillaPosition.com // You stepped away for a while and now you're a veteran and one of the leaders. People always ask the guys what advice would you give about wrestling to the younger guys. My question is what advice would you give to the younger talent outside of the ring? PW // My advice would be the same thing that Scott D'Amore instilled in my head, always have a back-up plan for wrestling. Wrestling is not going to last forever. I do understand that I get to step in the ring tomorrow, I could break every bone in my body and then what? You're not going to be able to support your family any more. That's the best thing I could tell other wrestlers, just have a back up plan. As well as when you're on social media, when I first started in wrestling there was no social media. Sometimes I wish there was no social media, because sometimes people say stuff jokingly and everybody gets so hurt about it and sometimes I wish we could just go back in the day when people could still take a joke. But it seems like that's not the world we live in anymore, everybody has to be politically correct, but you've got to adapt to that and just be careful whatever you put out there in social media is going to be there forever. There's no going back saying "I hope people forget", yeah people forget, the next time somebody else is going to make a mistake. Do everything wisely. You're always under the microscope so just be smart about a lot of things. That's all I'm going to say. A big thanks to Petey Williams for spending the time on this call, as well as Ross, Simon and Lauren for allowing us to take part. Impact Wrestling can be caught on Pop TV in the USA on Thursday nights at 8/7c and here in the United Kingdom on 5Spike on Friday nights from 9pm.